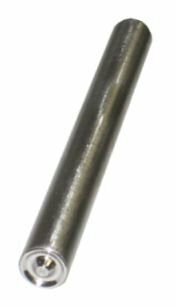 HT-171 HAND RIVET CLINCHER FOR 3/16" DIAMETER TUBULAR RIVETS, DESIGNED TO BE USED IN CONJUCTION WITH A HAMMER TO CLINCH/ROLL TUBULAR RIVETS OR THEY CAN BE ADAPTED TO USE ON ARBOR OR DRILL PRESSES. For 3/16" diameter Tubular Rivets. View More In Tubular Rivets.